Hey everyone! It’s been a while since I did a bold makeup look for my blog so today we’re changing things up with a Purple Glam Holiday Makeup Tutorial. This look is actually a recreation of a look that I did earlier this year. In my ColourPop My Little Pony Eyeshadow Palette Review I created a similar look to this one and I was curious to see if I could do an even better job recreating it with six months of practice in between. Now I know that this look may not strike you as festive, but at this time of year I consider purple eyeshadow to be very holiday because it’s bolder and sparklier than I usually wear my makeup. I was actually self conscious wearing my makeup like this to work but I found my confidence after I removed my false lashes. Keep reading for the steps I followed to create this eye makeup look! I’m not going to walk you through my base makeup because I think that’s pretty straight forward. 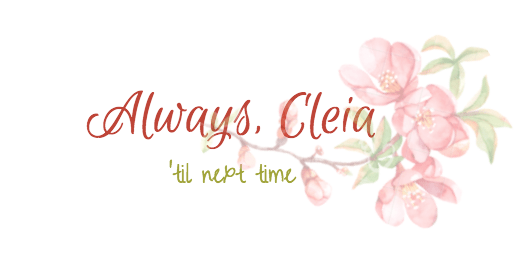 I listed all the products I used at the bottom of this post with links to products that I have personally reviewed on Always, Cleia. The focus of this tutorial is on the eyeshadow, which is what this look is really all about! Because I’m working with glittery shades I wanted to make sure my eyes were primed well. To do this I used a dab of Too Faced Shadow Insurance on each of my ring fingers and tapped it all over my eyelids. To set the primer I used a Luxie 660 brush and pressed the lightest shade from the Makeup Revolution Warm Lights Bronzer all over my eyelids. The first step in creating this look is to take the shade Flint from the Natasha Denona Mini Lila Palette and gently build it up in the crease with a blending brush. I recommend holding your brush as close to the end of the handle as possible so you don’t use too much pressure. For my second transition shade I took the shade Poison Berry on a smaller blending brush (my Morphe M506) and I placed it just below Flint. To keep the transition area smooth I blended both shades together with a fluffy brush without any product on it. If you’re familiar with the My Little Pony Palette you’ll know that the purple shade not the most vibrant when worn on it’s own. I wanted this shade to pop so I used a NYX Jumbo Stix in the shade Knight and filled in my entire eyelid. Next I smoothed the edges with a flat brush & blended the edges. The shade Knight is nice because it has little flecks of gold glitter but you can do this trick with any dark gel eyeliner. I warn you, it will look messy at first. That’s okay, this is one of those looks that can look like an absolute disaster but once you add the finishing touches it will pop. The main step is to take the shade Skydancer from the My Little Pony Palette and to pack it all over that gel eyeliner. It really sticks to the gel base and looks a much deeper purple over top of it. What you’re essentially doing is creating a cut crease with the gel liner so that the shadows pop on top of it like they would with concealer. The last eyeshadow I used for this Purple Glam holiday makeup look was Twilight. With a Morphe M506 I blended it into the outer corners to create some depth and finished off the look with winged liner and mascara. What’s your go to holiday eyeshadow palette? Beautiful!!!! I am loving that up close shot you captured! I’m going to be doing a purple look this weekend too because I haven’t played with purples enough yet lately! Thank you! Now I just need to go find some holiday parties! Thank you! When I look back at my first version of this look I can definitely see the improvement. Velvet Teddy goes with everything 🙂 Thanks for reading! You’re making me want Velvet Teddy more and more! Looks gorgeous with your red hair! Love the purple!! Not something I usually go for, maybe I should! It’s such a fun shade to wear! such a pretty purple look, I love it!